We are living in the world, where people are so quick to judge and criticize you. When you are criticized it doesn’t mean they are right, they just judge you based of who they think you are, and what they heard about you, and also might be because they are jealous of you because you have and you do things that they don’t have and can’t do. Being criticized is very hurting and you feel rejected and lonely. What to do when you are criticized? 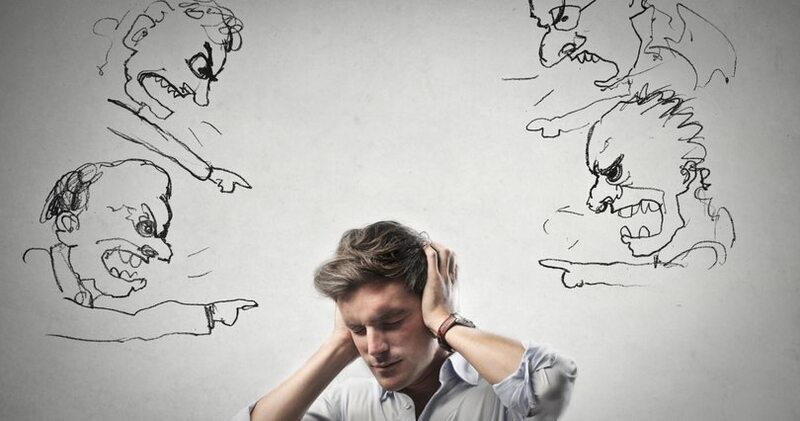 Whenever you are criticized you need to take a pause and check if they are right about you or about the situation. We should always have a teachable spirit and always willing to change. Pride hinders us from learning and becoming a better person who will be a blessing to the people God placed around us. At times you need to stop being rigid about your opinion and willing to see through their perspective. It is dangerous to fail to see from other eyes. If you don’t show respect to others word over your life, you might end up losing that person forever. Therefore it’s good to examine your life when you are criticized, this will help you to change or stand strong about the truth you know. You will make a fool of yourself, if you know your mistake and still choose to walk the other way. The sign of a strong person is that he admits his mistakes. If you fail to makes small changes, you can never make bigger changes. You need to admit the fact that you are not perfect and sometimes you do mistakes knowingly or unknowingly. Until you change your mind, you will never change your life. God’s will for your lives is that you be transformed in the likeness of His Beloved Son Jesus Christ, Jesus is your ultimate goal. Whenever you are criticized, choose to run to God. Any criticism that doesn’t push you to Jesus will lead you into depression. One story from the Bible that is a good example of overcoming criticism is Hannah. Hannah and Peninnah are the wives of Elkanah. Peninnah had children but Hannah was barren. Because Hannah was barren, Peninnah would taunt her and make fun of her, this would lead Hannah to hurt, and she wouldn’t eat and was reduced to tears. One thing I like about Hannah was she did not give up on herself or on God, the Bible says ‘she went to the temple and poured her heart to God in prayer, God heard her prayer and granted her request’, she gave birth to great prophet of Israel, Samuel. I don’t know how long you been in this situation but I have a good news, there is someone who understands you, no one can understand you better than your creator, going to Him in such situation is wisdom. He will not only understand you but if you tell Him what you need, He will give it to you. There is always hope in Jesus.